French language CD courses can help you learn French whether you are starting as an absolute beginner or have had several years of French classes already. Learning a foreign language from a teacher in a classroom has many advantages; however, learning on your own with CDs also has advantages. Some students who attend French classes attend the class every week but never open their books in between classes. If this sounds like you, a CD course may be a good option for you. In addition, if you don't have the time (or the money) for a French course in the first place, a CD course can be a great option. While some CD courses are quite expensive, a general course can run fairly low in price. Another advantage of a CD language course is that you can get reviews of the course online before you purchase a course; the more reviews have been written about a particular product, the more reliable the rating of the product will be. Of course, French teachers often get evaluated by their students; however, these evaluations are not made public, and are not considered a strategy for choosing a French course. When you buy a French language CD course, you know exactly what you are buying. Signing up and paying for a traditional foreign language class offers significant room for you to be surprised by what the course eventually turns out to be like. Finally, using a foreign language CD course is much more flexible than attending a class. For example, those with small children at home may be able to work in an hour of study each day at home, but be unable to attend a class outside the home. CD courses can also sometimes be used in the car, providing an opportunity for hours of exposure to French sounds in a passive learning mode. This flexibility afforded in terms of where and when you study French with your CDs is a great benefit to many learners. 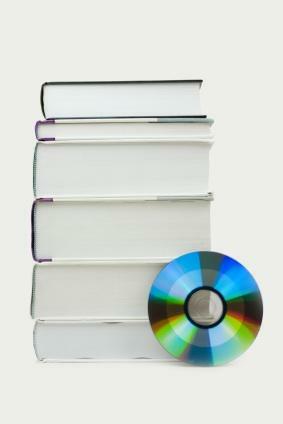 Several different CD courses are available for purchase online. You can also visit a local bookstore to look for one, but be prepared to find fewer options from which to choose if you are buying in person. While a bookstore may have five to ten options, Amazon.com boasts hundreds of options. These courses vary greatly in price; the CD courses also vary in quality, but some learners may be satisfied with a more basic course. If you are only looking for basic tourist phrases, a short beginner's course (inexpensive) may be more than sufficient. For the learner looking to master French over several years, investing in one of the more complete courses is advisable. French in Action: An excellent course if used with the textbook and workbook that are sold separately, French in Action produces superior results. This method works by immersion, and the combination of input (audio, written and pictorial) ensures comprehension without ever having to pull out a French-English dictionary. On the pricey side, this method is worth its high price. Michel Thomas Method: A packet of 10 CDs, this beginner programming produces excellent results for learning conversational French. Whether you are a true beginner or you have taken French for several years (but never quite got beyond reading and writing), this CD bundle will have you speaking French in no time at all. Traveler's French CD Course: An inexpensive set at less than $20, this CD course is perfect for the casual traveler who will visit France and would like to try their hand at greeting the natives in French. Rosetta Stone French: A well-known name in language learning software, Rosetta Stone has been satisfying customers for decades. A pricey set for the serious learner, be prepared to work hard with this method. Learning a language is best done in small increments; if you can devote an hour a day instead of three hours on one weekend day, you will see better results. If you are a true beginner, stick with listening for a period before you take a look at the accompanying text; the spelling of French can make you mispronounce the words because we automatically pronounce the French words in an English-like manner. Have patience. . .learning a language fluently takes years. Expecting to learn it well in a month will only frustrate you.